yiannis krikis (thessaloniki, Greece) on 24 October 2011 in Cityscape & Urban and Portfolio. Intimate and delicate, always these beautiful B / W. it's a real pleasure to see your pictures Yiannis! Very nice monochrome capture, leads the viewer into the landscape. Very compelling point of view and lovely b&w tones. To walk through is a pleasure i can only get through you, so thank you so much! Wonderful stone walls!! Love the textures here! nice path and the wall is looking pretty cool! Beautiful composition and tonal range! lovely alley in a rural area. 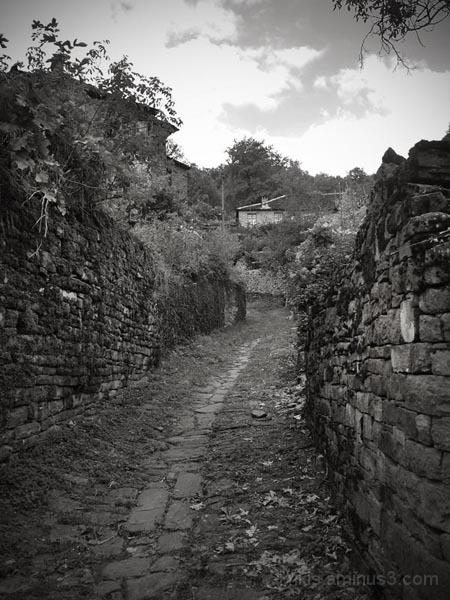 Love the pathway within the tall stone wall, great textures and b/w! Nice black and white nuances with a beckoning pathway. A beautiful old road between the beautiful old walls. A wonderful photo. Again, the wonderful tones really work magnificently here.